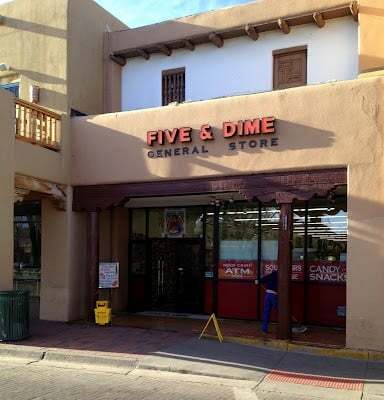 Travelling to Santa Fe, New Mexico holds many wonders for visitors, the food being a major highlight. 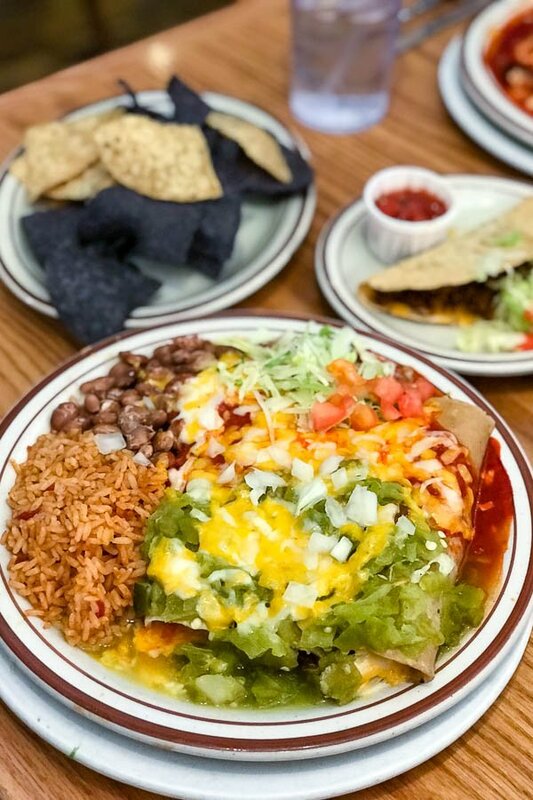 This list of the Best Restaurants in Santa Fe Where the Locals Eat covers Northern New Mexican cuisine and other special finds you’ll love without the tourists! Santa Fe is a great eating town and one which offers the unique flavors of Northern New Mexico not easily found outside the region. There are wonderful restaurants in every price point and I’ve been fortunate to eat in most of them. I’ve shared some of the more popular around The Plaza area in prior travel posts (The Shed, Casa Sena, Guadalupe Cafe, Cafe Pasquals). My preference when traveling anywhere is always to seek out where the locals eat. I’ve found the most authentic and well-priced food is discovered this way. I will happily forgo ambiance for the best of regional cuisine and an authentic vibe! The Land of Enchantment offers something unique to anywhere else in the United States, between the culture, the physical geography and the cuisine. I really wanted to scratch the surface of the restaurants covered in every Santa Fe travel guide to be eating where the locals are and to share that. After querying everyone I could, those working at the local museums, thrift stores, antique stores, hotel workers, parking lot attendants, local friends and more, I found a common list. I think you’ll love these Best Restaurants in Santa Fe Where the Locals Eat! You’ll find a warm welcome and fantastic food. An integral part of almost every Northern New Mexican recipe is red or green chile. Like to try both? 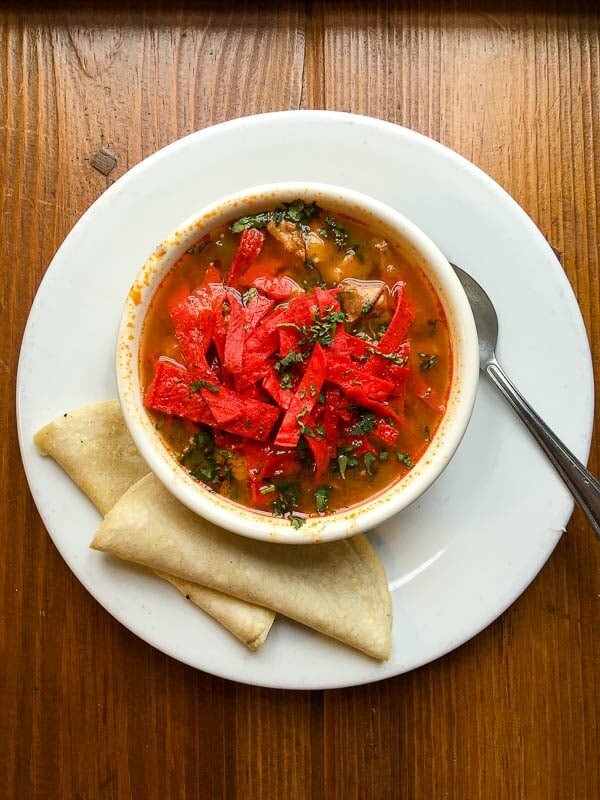 Order your chile ‘christmas-style’ which will deliver BOTH red and green chile with your meal! 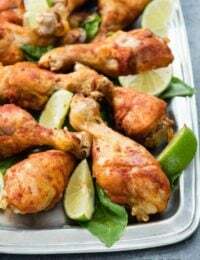 Ordering chile for gluten-free diners: chile, especially green chile, often has flour in it so always clarify ingredients with your server before ordering. For all the restaurants listed here we were able to find red, green or both without gluten. 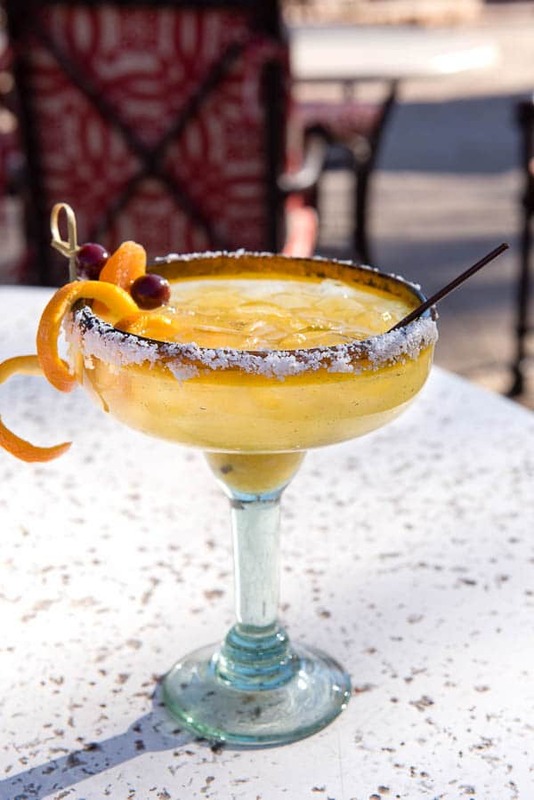 Note to Margarita Lovers: a fun way to see a variety of restaurants and bars in Santa Fe is through the Margarita Trail program. From high end hotel restaurants to local ‘joints’, and you won’t find the same marg twice! 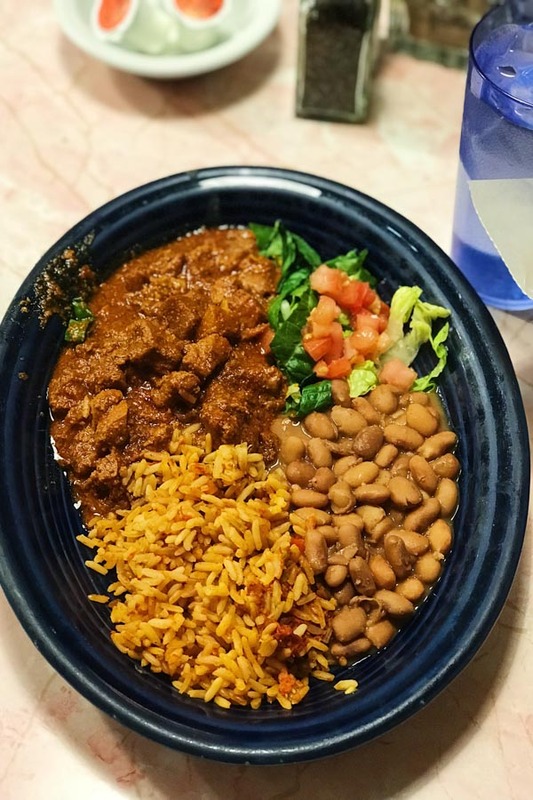 My primary focus was on regional Northern New Mexican food restaurants but I received some additional recommendations outside of that cuisine that definitely were great finds and local preferences. All the restaurants are predominantly frequented by locals over tourists. I dined at all the restaurants on the list (with seasoned taste testers) to verify the local recommendations per my opinion. NOTE FOR GLUTEN-FREE DINERS: With the exception of one (noted), all restaurants on the list can accomodate gluten-free diners as of the publication of this list. Owned by the same group as The Shed, La Choza is off the beaten path, less touristed with authentic food full of spice and heat. Gluten-free diners will find options here and the staff was able to help navigate the menu for our dietary needs. The pork Carne Adovada was some serious good business. 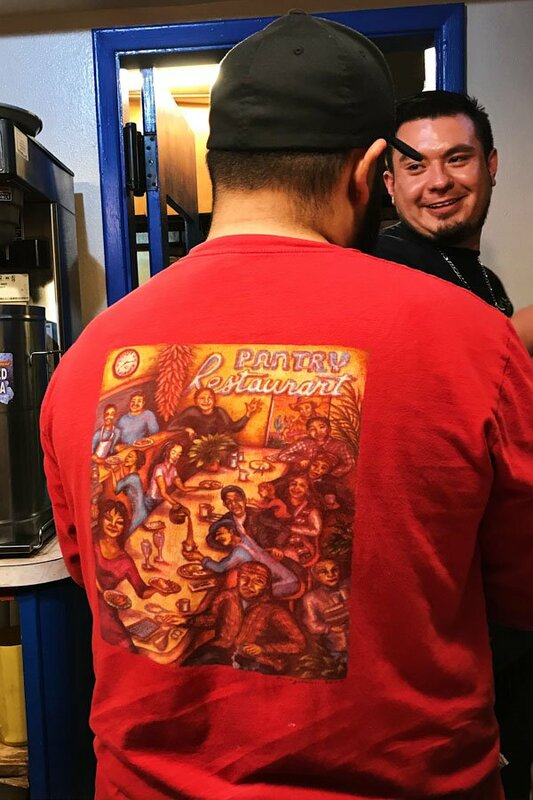 This restaurant is a Santa Fe staple which has multiple locations and has been covered in some of the most prestige culinary publications for its honest Northern New Mexican and traditional Mexican food. Extremely affordable, one orders in and takes the food to go; there are no dine-in facilities other than benches inside the small venue. For gluten-free diners the tacos are the only option however we ordered a bulk of chicken with guacamole and shredded beef tacos to eat in our car. The Cerrillos Road location was a revolving door of locals; not a tourist to be seen. One local told me he thinks they have the best Red Chile in all of Northern New Mexico. At the very back of the Five and Dime on The Plaza, is a small, unpretentious Snack Bar and the home of the original Frito Pie. Homemade beans and New Mexican chile are made daily, and layered on top of Frito’s corn chips in a snack size bag then topped with cheese. Despite being at the back of a huge souvenier and sundries shop frequented mainly by tourists (I love it for affordable souveniers), there seems to be an invisible membrane between the shop and the Snack Bar few tourists bridge. It’s cheap, filling and bursting with local flavor. You can dine-in at one of the few tables or counter at the Snack Bar, or sit on a bench outside on The Plaza for people watching. Note for gluten-free diners: unfortunately on a recent visit (2018) I was told they use “alot of flour” in the chile so it’s off limits for those gluten-free. 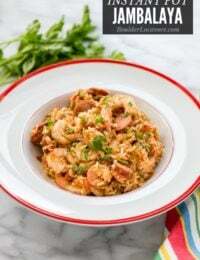 No worries, I created my own recipe for this Frito Pie after having it at the Five & Dime the first time! More background on the history found with the recipe too. Think upscale Japanese tapas in the mountains above Santa Fe at Ten Thousand Waves. The meal is paced by your preference. We arrived for dinner two hours before a reservation for a hot tub room at the spa. Our server took our full order then had plates sent out a few at a time so we could relax and take our time. A FAVORITE: the Wagyu Beef Ishiyaki. Almost paper-thin beef served with a river rock heated to 500 degrees under a broiler for 3 hours. The beef cooks for 3 seconds a side at your table (video above). NOTE: This restaurant is more expensive than most on the list. 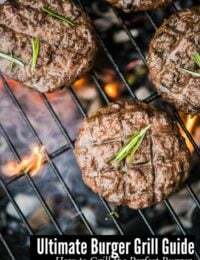 Gluten-free diners: about half of the menu is available for those gluten-free and for those with Celiac, grilled items should be avoided for cross contamination risk. 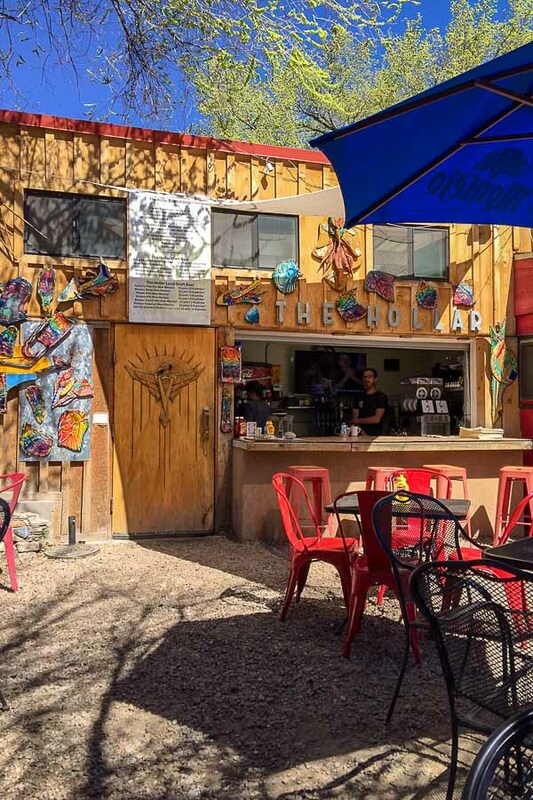 The Hollar restaurant in Madrid (pronounced MAD-rid), a former coal-mining town turned quirky, colorful artisan community about 30 minutes drive from Santa Fe, serves a fusion of Southern cuisine with local ingredients. The outside patio is a great place to hang out and dogs are welcome too (they even have a Canine Cuisine menu). The Hollar serves 1/2 pound burgers (and has gluten-free buns), barbecued beef brisket smoked onsite, fresh local produce, locally made root beer and a slew of beer and cocktails. We found a local chocolate artisan across the street too serving exceptional and unique chocolate (Shugarman’s Little Chocolate Shop). It’s worth the trip for a peek into this funky town on the outskirts of Santa Fe. In business for over sixty years, this down to earth restaurant is brimming with delicious food and welcoming service. We arrived late one night after spending hours at nearby Meow Wolf and sat at the old school counter on stools. Locals breezed in an out ordering their ‘usual’ and we were treated with the same friendly warmth as if we’d been coming for years too. The Carne Adovada was fantastic. 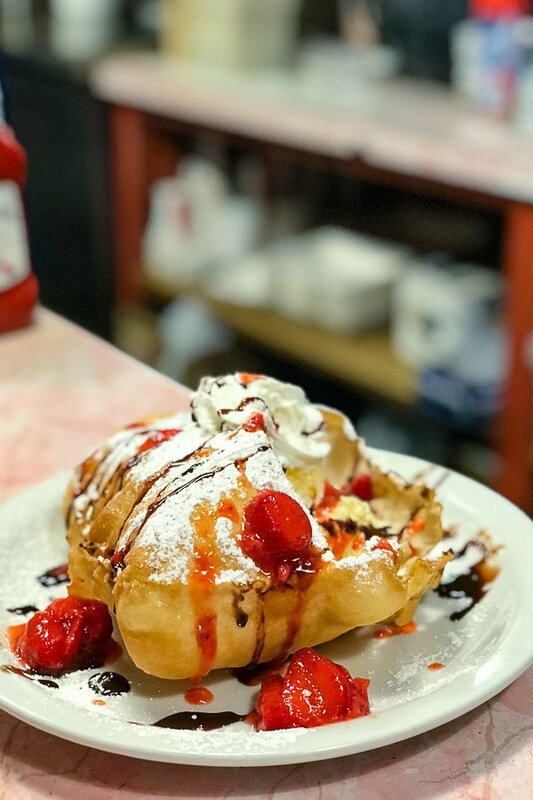 We spotted a complete foodporn-worthy ice cream stuffed dessert sopapilla drizzled with chocolate and topped with whipped cream someone had ordered. It was not gluten-free which was probably a saving grace for my waistline. This takes the prize for heaping plates of classic Northern New Mexican food at incredibly reasonable prices. Filled with booths, tables near well-lit windows and a bar, you won’t find tourists here. You WILL find locally sourced food, ingredients with integrity and that everyone is welcome. Thoughtful, honest food. Go hungry. Nestled just inside a mall, this unsuspecting find was at the hands of a local friend and I’ll be forever grateful. A ‘must go’ restaurant. (NOTE: We did not visit this cafe but received enough recommendations for it we are adding it to the list). 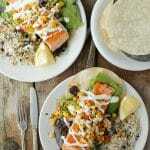 American, New Mexican and Mexican options from breakfast through dinner. 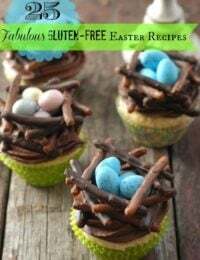 The list of gluten-free desserts certainly caught my eye too. Santa Fe Local Restaurants Up Next! Thanks to Santa Fe local friends and readers I have a curated list for my next restaurant tasting visit (these are not restaurants I have personally visited….yet). If you beat me to one of these gems PLEASE leave your experience in the comments below! Once I’ve visited the restaurant personally, I’ll share a write-up above. Horseman Haven Famous for the hottest green chile in Santa Fe, this very low key eatery is focused on good regional food. ‘Very local’. Café Castro Locally owned and operated serving great regional cuisine in a low key setting. Paloma This new restaurant is showing indicators of being the ‘it Girl’ on the Santa Fe dining scene. Slightly upscale, Paloma is getting great marks for its Mexican-inspired cuisine and drinks. Tortilla Flats Their website says right up front ‘Where The Locals Eat’ and based on my sources that’s exactly true. New Mexican food, all day long including Happy Hour. Another ‘very local’ recommendation. La Cocina de Balam Honest, humble local food prepared with fresh local ingredients. Balam apparently has a food cart on the Plaza and serves the community at this unassuming restaurant location. Taco Fundacion This walk up counter (no in-store dining) touts fantastic tacos from the traditional to gourmet. 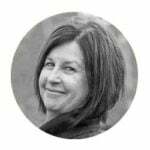 Started by the owner of the Shake Foundation, a well-known and loved burger and shake joint serving high-integrity meat burgers and of course a Green Chile burger! Harry’s Road House A whimsical longstanding ‘neighborhood restaurant’, slightly out of town. Radish and Rye Moving to a new location on Cerrillos Road mid January 2019, Radish and Rye comes highly recommended for farm-inspired cuisine. Focused on local sourcing whenever possible, sustainable ingredients, thoughtfully raised protein, this more upscale restaurant has been recommended to me several times by locals. Backroad Pizza on 2nd street Thin curst pizza with a Santa Fe twist (the crust is rolled in cornmeal for extra flavor and texture). High quality toppings. Rotating selections of New Mexican and national beer on top. Dine in, pick up and go. Gluten-free crust available (though they are not a certified GF kitchen). Claufoutis Low key French food in the heart of Santa Fe. 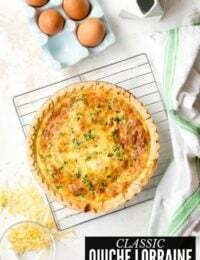 Breakfast, lunch and French pastries. Paper Dosa (Indian) South Indian cuisine with a tasting menu as well as regular menu. Dinner. Are you a Santa Fe local or have a lead on a best restaurants in Santa Fe ‘where the locals eat’ restaurant? Please leave a comment below! We love to hunt down the best of local eats and share them with fellow travellers! 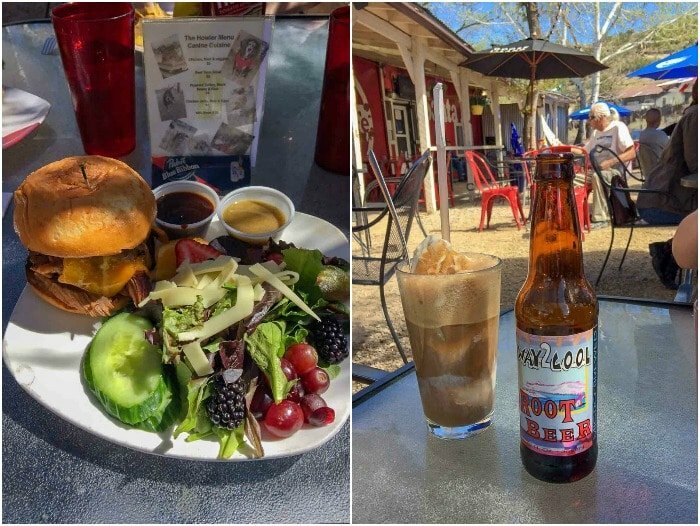 If you like this Best Restaurants in Santa Fe travel guide or any other recipes/posts on BoulderLocavore.com, please SUBSCRIBE and FOLLOW ME on FACEBOOK, TWITTER, INSTAGRAM and PINTERST to see more delicious food, travel and what I’m up to! Tortilla flats is surprisingly good.If you havn’t been to Harry’s Roadhouse on old pecos,you are missing the local favorite. I am a local Santa Fean; please don’t miss Paloma next time you are here. Beautiful inside, great drinks, special food. It has a great patio as well in the Summer. Very popular with locals. You must have been reading my mind! I’ve been thinking of my next trip there and adding more to this restaurant list but I really want to hear from locals! Paloma is now on the list. Thank you! Tune-Up Cafe– Went twice in 4 days for breakfast… that tells you something. Loved everything about it. The Pantry– The most “local” of all the places we went. Really good food too (we went for breakfast), but remember it’s basically a coffee-shop kind of place. Definitely not trendy food, but then again, that’s it’s charm. 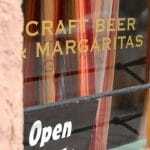 Cafe Pasqual’s– Went there our first night. Mexican food but very unique selections/preparations. Just go for it! Perfect way to kick off our stay. Loved the decor too. Coyote Cafe– The most touristy restaurant we went to (or so we thought it would be– it actually wasn’t at all) but a truly excellent dinner. 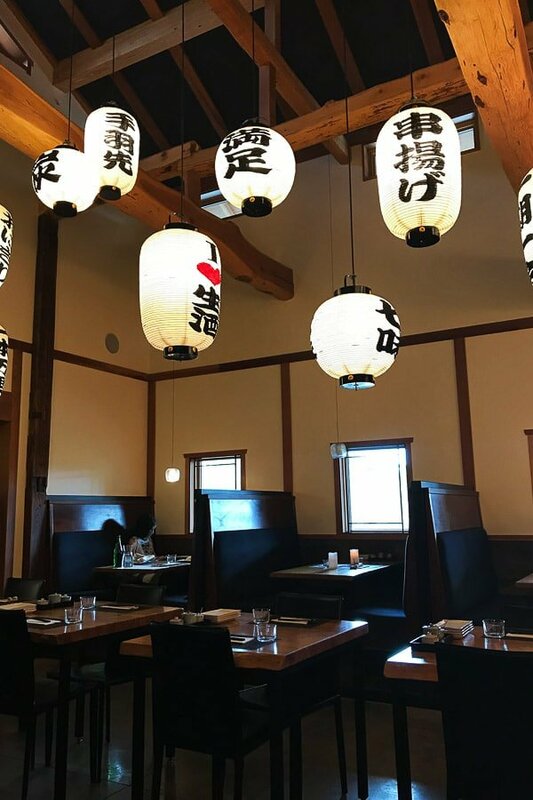 We were pleasantly surprised that a restaurant that has been there so long is still on top of its game in every way– not always the case with longtime establishments. 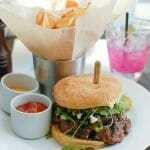 Describes its food as Modern Southwestern Cuisine, which is a perfect description. Loved everything about it..
Geronimo– We were actually discouraged from going there by a local, who thought it was too touristy, but it was simply fabulous. Pricey, yes, but worth every penny. One of the best meals I’ve had not only in Santa Fe but anywhere in my life, hands down! Just a superb evening in every way. So glad we didn’t listen to our local friend! Radish & Rye– Went there for our last dinner of our stay and oh my gosh, what a treat. First of all, it’s incredibly charming. It was warm enough to sit out on their porch, but when it got a little chilly toward the end of the meal, I just slipped on the wrap that was draped over the back of my chair! The dinner was incredibly delicious, all based on locally sourced products (that corn chowder… oh my god), and the service was equally as good. A delightful last evening. 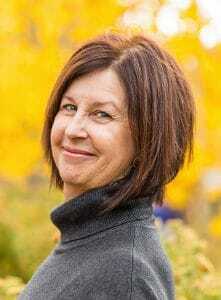 I LOVE hearing all these details Marcia. I have not been to the Coyote Cafe for years but it was great when I last visited. Probably more touristed than not (relating to the ‘locals’ focus of my list) but still great food. Cafe Pasqual’s has always had a soft spot for me but again probably more tourists than would fit it into the focus of my list (though it’s one of the popular restaurants I reviewed and linked to from an early blog post). They don’t have a ton for gluten-free diners either which is a need for my family BUT a Santa Fe iconic cafe everyone should visit. Great to hear on Tune-Up, on my list for my next trip. I have NOT been to Geronimo but have heard it’s great. After my first travel dining posts I really turned my sights on finding those gems mainly locals know about and go to for fantastic regional food. Radish & Rye is new to me. It sounds from what I’ve read that it’s local sourcing but not necessarily local/regional cuisine; is that acccuate? Please fill me in! Thank you for taking the time to share your experiences. I’m sure other travellers will be helped by all of your information! I have been to Izanami only and it was a wonderful experience. Their restaurants menu covers offers some really good Japanese dishes. 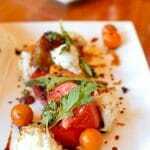 I am always reading such amazing things about the food scene in Santa Fe! I hope one day I get to visit! Food is one of my favorite parts of traveling. I hadn’t considered saving money on local fare, but it’s easy more motivating to dig in and do research on the local eateries. Santa Fe looks like a delicious place to visit. I love Jambos, the best chai with ginger and great daily food specials, healthy and well seasoned. Counter Culture has great food and fabulous ambiance for creative gathering people. Fun! Thanks! Will definitely check them out. These look like some amazing places to eat in Santa Fe. 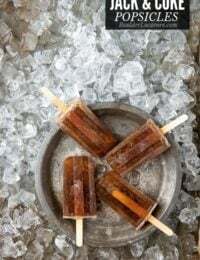 I am going to have to give these a try when I visit. We usually stay at Santa Fe during the fall. That’s where we spend the Thanksgiving! I think it’s awesome that you’re sharing this list, we haven’t gotten around to eating at the restaurants as much as we want to. I’m sure that’s a beautiful time of year there! 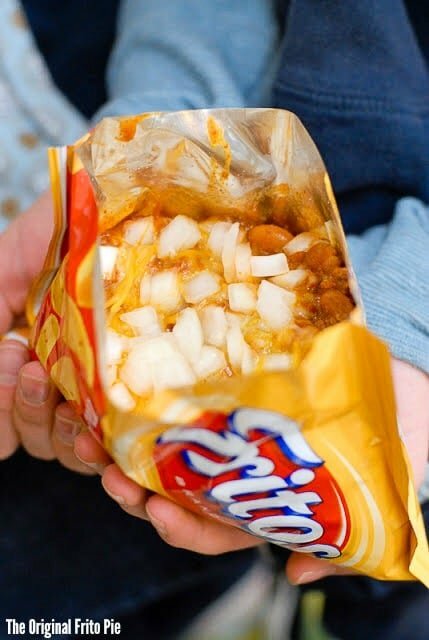 Wow that Frito pie is pretty interesting all the hipster foodies are gonna love that. Would love to looking into that Margarita Program! I’ve never been to New Mexico but dang with that food I really want to go. Everything looks so yummy. Bucket list! Wow, looks like a great destination to head to for eating and no shortage of awesome options. I would love to go to Santa Fe for the food alone. That’s a great tip about the Christmas Chili. I like both red and green and would have assumed that it was included without having to order it special. Usually they’ll ask if you want red or green chile. So telling them you want ‘Christmas-style’ will let them know you are on top of your chile game! Oh, my! Everything looks soooo good! So hard to pick a favorite! I love exploring a city through it’s restaurants! Your pictures are making me hungry. It’s been a long time since I have been in Sante Fe. 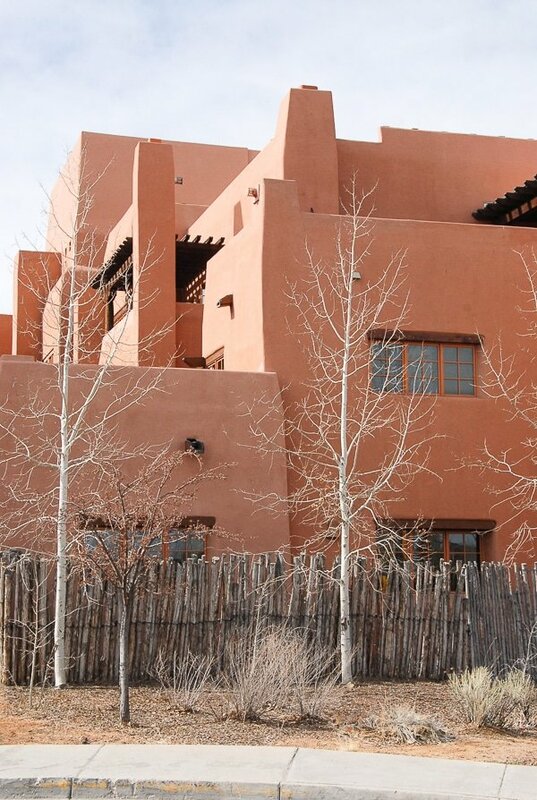 Santa Fe is on my bucket list. So many awesome establishments to see! Wow! I am drooling especially over the Mexican food and the dessert. Everything looks delicious, definitely a great selection to choose from! Oh wow, I think I’d have a lot of fun trying out these restaurants. The Hollar seems so cool! Whenever I travel I always want to do and eat what the locals are doing and eating and also places they are hanging out. Who would have thought the five and dime would be a great place to eat. No one ever! But it is! Hopefully that was decent at least! I enjoy discovering local restaurants when I’m traveling. These all sound wonderful. If I go to Sante Fe I will have to check these out. Was surprised to see Radish & Rye didn’t make this list! It’s near the railyard and the staff and food are amazing. That’s the first I’ve heard of it but I appreciate the lead! El Parasol…that place looks amazing! But ALL of these places look awesome! I want some of that food NOW! Thanks so much for this! Always good to have recommendations for travel. I love all of these! I’m bookmarking this in my “travel food” folder. I keep a ton of links there for when I take trips. Love it!